(RED) believes that every single person can join the fight to end AIDS. For some, it can be as simple as choosing a fiery-colored phone, or entering to win a frolic through Central Park with your favorite band’s front man. For those who also would like to use their creative talents as well as their purchasing power there is only one question: can you do it in (RED)? For Lauren Hom the answer was a resounding yes. As the mind and hand behind one of Instagram’s most popular typography accounts @homsweethom, she has amassed over 152,000 followers. We sat down with Lauren to discuss how she honed her craft, found inspiration, and why it was important for her to spread her handwritten message of ending AIDS with each and every follower with EAT (RED) SAVE LIVES this past June. How did you first get into typography? I always liked to doodle words on my notebooks as a teenager, but it wasn’t until I took a typography class in college that I realized that drawing letters could be a profession. Senior year of college, I started a hand lettering project called Daily Dishonesty, and, to my surprise, it kind of took the internet by storm. That blog was where I built a name for myself as a lettering artist. Did you always have good handwriting as a kid? Definitely not! My natural handwriting is actually still terrible, but since lettering is the art of drawing words bit by bit, thankfully I can take my time and make it look nice. How long does it typically take to complete one piece? 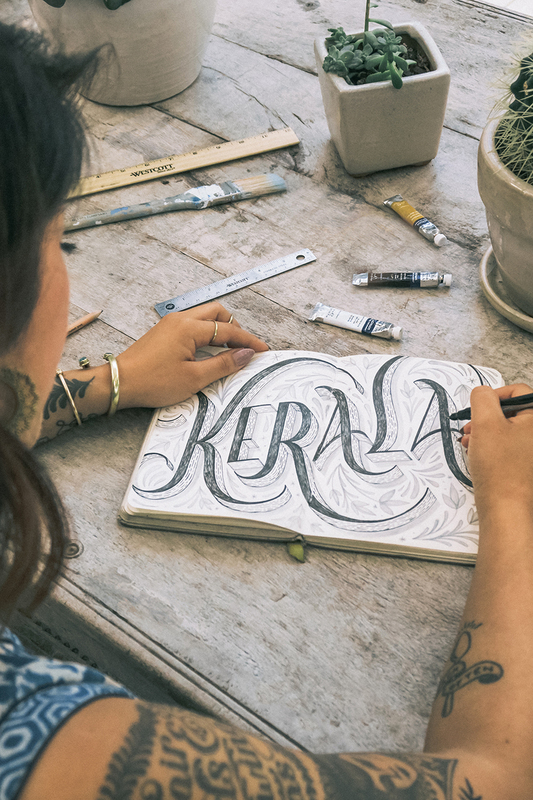 Depending on the size, intricacy, and medium, a piece of lettering work could take me anywhere from 3 hours to 15 hours to complete! What’s more important: the lettering or the message? Honestly, I think they’re equally important. 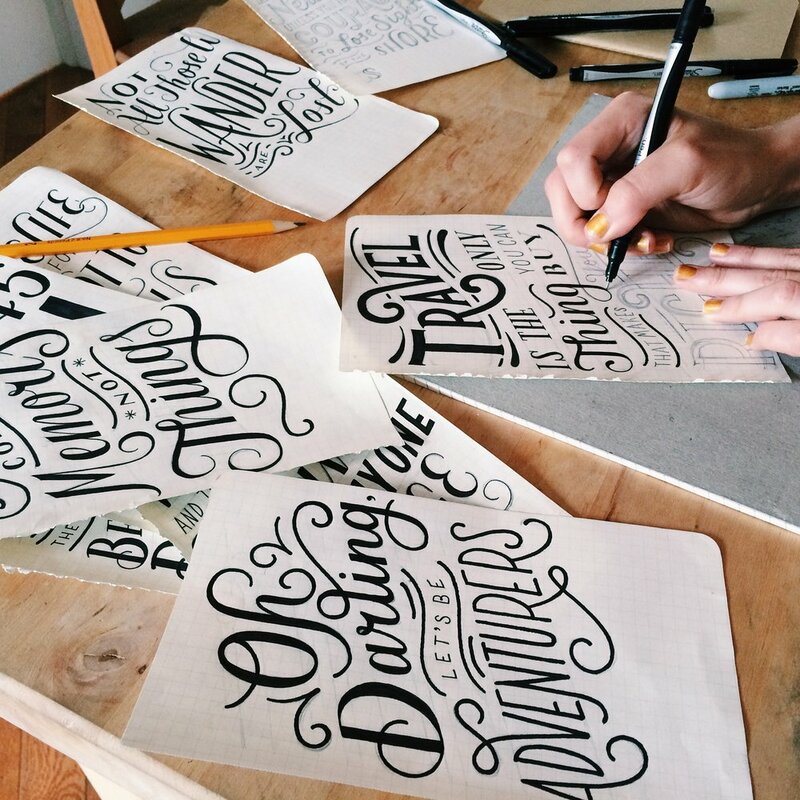 If you want to be a lettering artist, it’s also really helpful to know how to write. Do you have a personal motto yourself? Yes: ‘Work hard, snack often.’ It’s even tattooed on my arms. What’s your favorite quote involving food? Why did you want to work with (RED)? 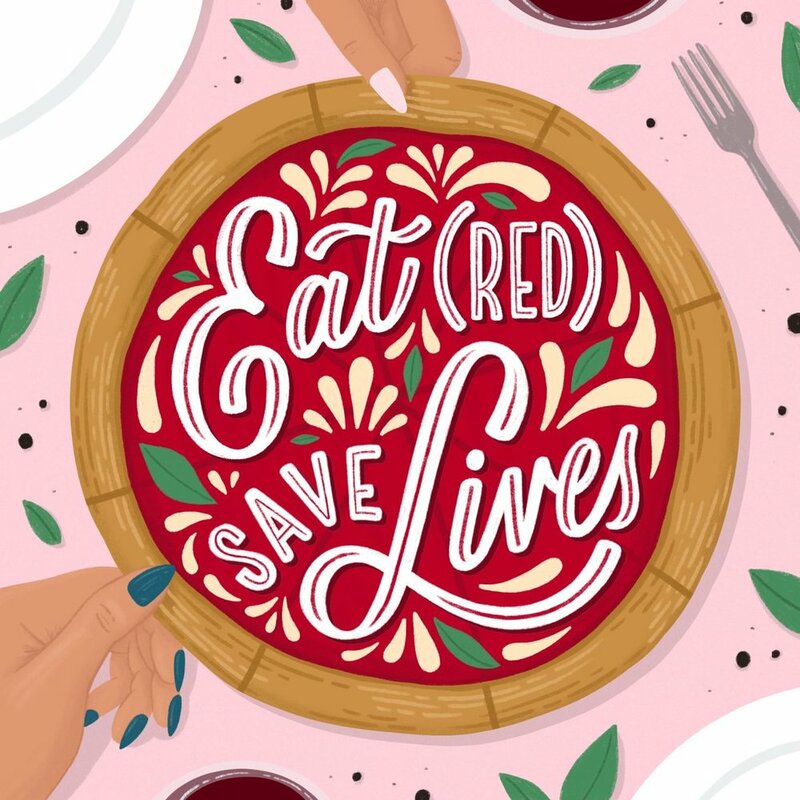 I really wanted to work with the EAT (RED) SAVE LIVES campaign because it does good in the world and promotes good food. Oh, and also I love any project that lets me draw pizza and pie. How can entrepreneurs and artists like yourself use their work for good? I think we can use our work for good in many ways! Whether it’s amplifying a charity’s message through our art or simply creating art and inspiring others to pursue their creative passions, an artists’ work can have a lot of impact.